On purchase of Hydro-Gen, please fill the WARRANTEE registration form for the warrantee claim. After fixing up Hydro-Gen in my Hero Honda Motor bike, I am gaining more on mileage is 43%, reduction on vibration, almost double the pickup and NIL emission on smoke. I am very happy on this new technology. I am A.L. 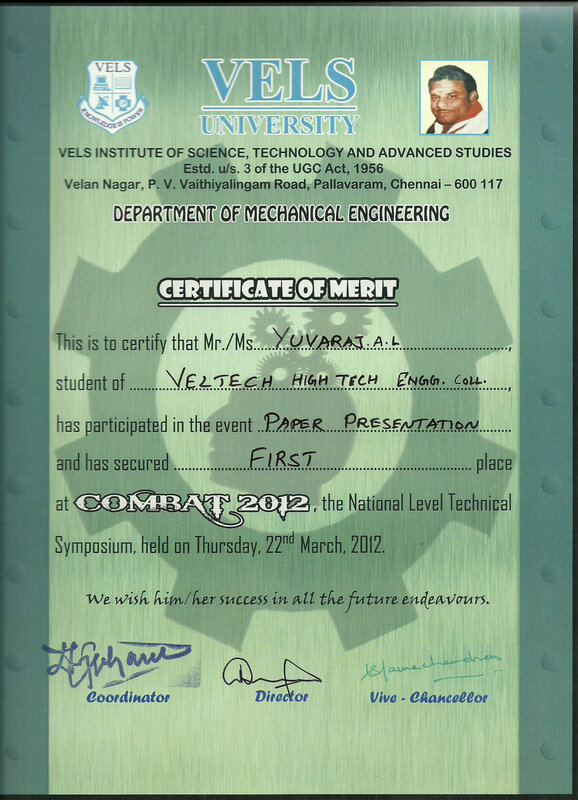 YUVARAJ (Mechanical Engineering Student). Conducted many tests on oxyhydrogen for IC engines, the achievement is maximum 63% on emission reduction and 48% on mileage increase. I was awarded by M/s. 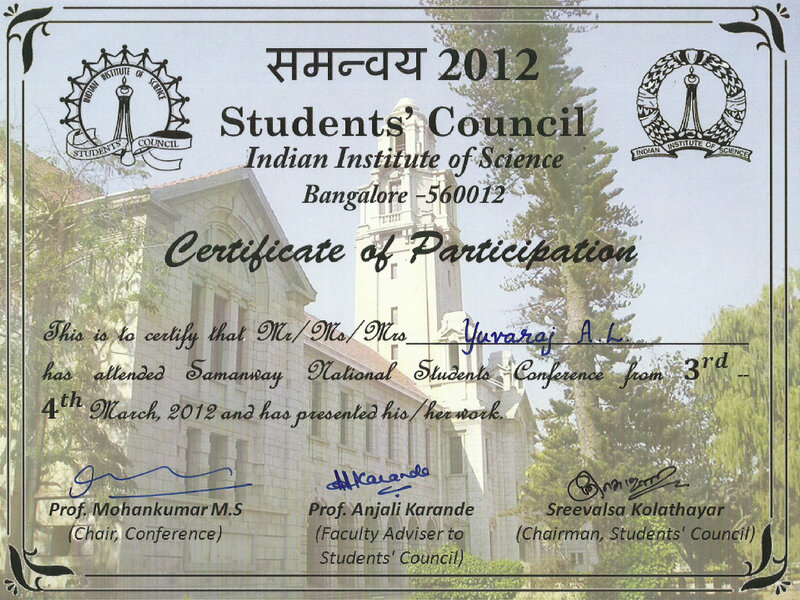 Indian Institute of Science, M/s. Vels University, M/s. 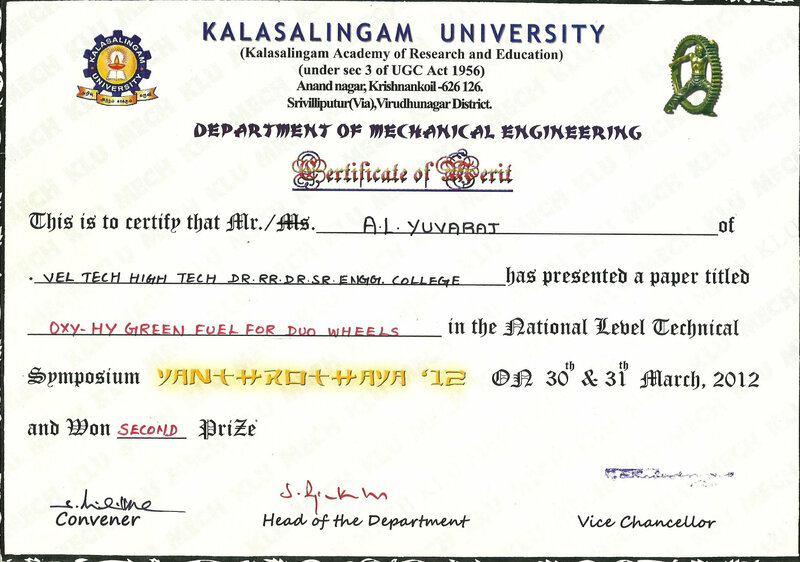 Kalasalingam University, M/s. Adhiyamaan College and many others. 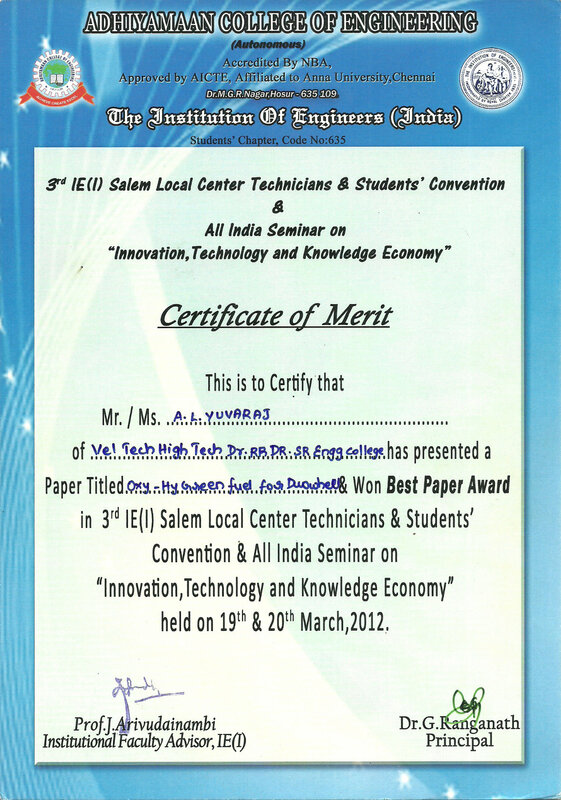 Click the following links to review the certificates of mine.